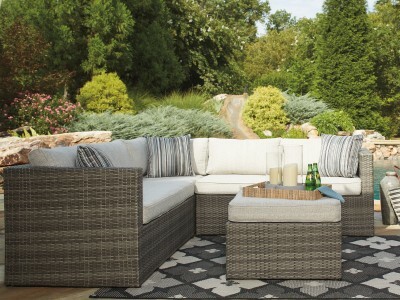 Drift away in the deeply cushioned comfort of this outdoor sectional set. Sleek L-shape sectional and ottoman are made for entertaining, reading or taking a nap. 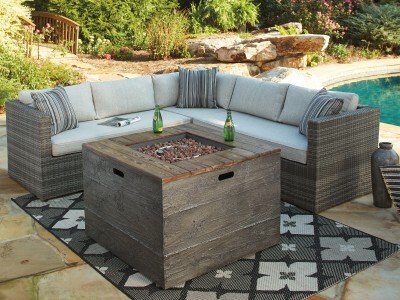 Driftwood-hued wicker and high-performing reversible Nuvella™ cushions and throw pillows soften the setting.